Looking for a mole catcher in Somerset or Dorset? We have over 25 years’ experience working with schools, hospitals, care homes, farms, commercial businesses and domestic properties to remove moles. How do moles cause a problem? During the breeding season in February to June, mole activity is at its peak. As males search for females the raised ridges or mounds of soil in your field or prized lawn will become apparent. However, mole hills can be a pest at any time of the year. 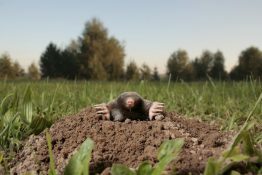 To give you an idea of the immense strength of these nearly blind creatures, the amount of soil a single mole can move is the equivalent of a human moving four tonnes in ten minutes from a depth of a half a metre! 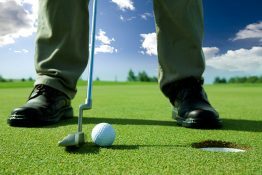 Once mole hills appear it is important to act quickly as they rarely disappear again without expert help. Moles can cause extensive damage in just one night, burrowing 100 metres every day. 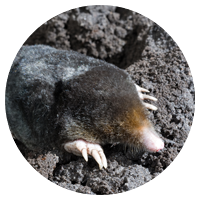 Mole burrows can undermine the roots of grasses or plants, which can also cause subsidence. 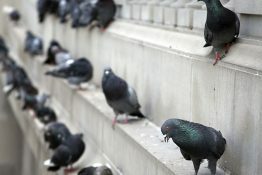 Why use our mole catching services? Safe, fast and humane mole removal. Extensive mole catching experience – no area too big or small.